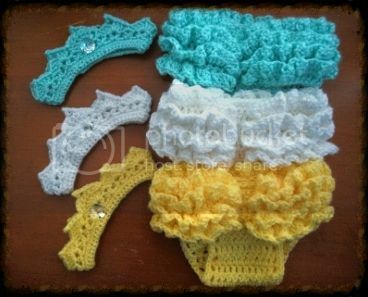 We have added more colors for our Tiara and Tutu sets. They are so darling. Won't that new little princess in your life be beautiful in her first photo with this on? We cannot decide which is our favorite. What do you think? If you are in need of that perfect baby gift, look at what we have now. 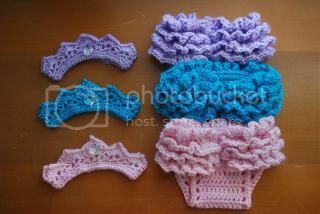 Crochet crowns and matching diaper covers. Perfect for that first photo shoot or just playing baby dress up. We have them in multiple colors with additional colors coming soon. Check out Bluebonnet Smile's Etsy shop and see what else we have been working on.